With the Arctic dissipating due to Global Warming, many animals are in danger of extinction including Polar Bears, Seals, and various other Arctic animals. One of Sweden’s most famous Arctic animals has been on the brink of extinction for over fifteen years. The Arctic Fox is a native of Sweden and is considered one of the most remarkable animals in all the Arctic. 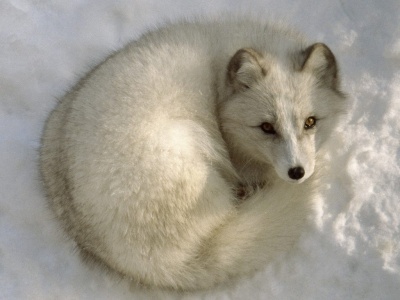 The Arctic Fox has the ability to not begin shivering until temperatures reach -94 degrees fahrenheit. They have adapted to even have fur on their paws for extra insulation. Their fur is also adaptable for different seasons, for camouflage. Their fur can range from grayish brown, to blue-gray, and all the way to Polar White. Just around fifteen years ago, only one or two litters were known to have existed the entire year in Sweden. The reason for the huge decline in number of litters is the warm weather. The Foxes natural food sources had run scarce, which lead the foxes to starvation, hence leading to the population decline. Luckily for these Foxes, have been able to have a resurgence due to the abundance of food in the Northwestern region of Sweden. With so much food available, this year has been record breaking for the foxes, with 37 litters registered. With so many litters and dens recorded so far this year, researchers are excited about the fact that they are alive and well. Not only does this mean the fox population will continue to remain stable, but also means the food that they rely on is stable. Having these foxes around will keep the Arctic ecosystem in line. Sweden and Norway are doing their part by making sure these animals will continue to remain well feed by providing a natural habitat for them to hunt and live. For more Arctic news and updates, please visit Dr. Larry Mayer’s Official Website.